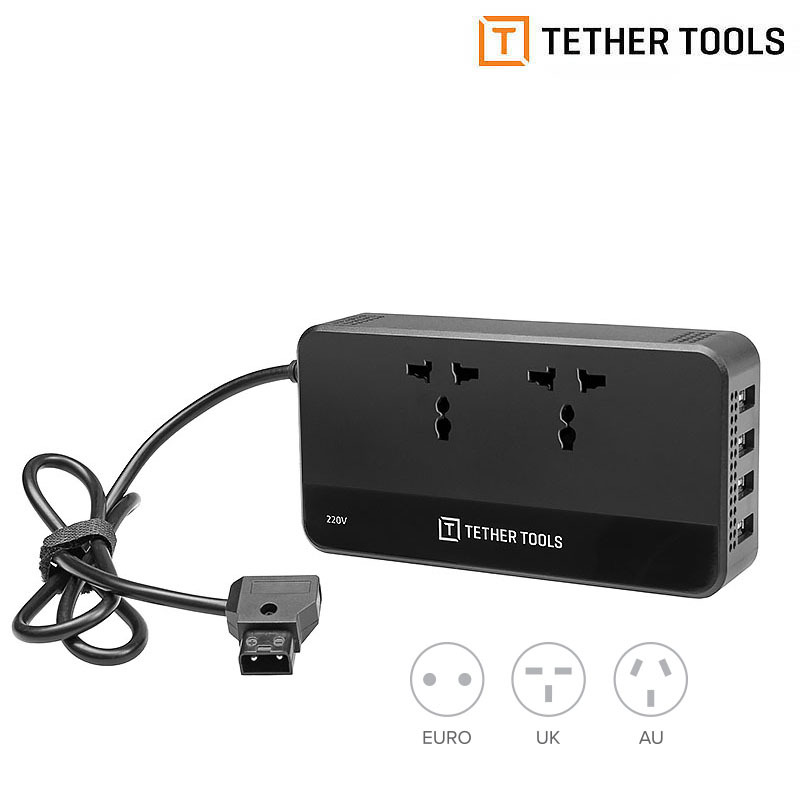 Hva vil du vite om Tether Tools ONsite DTap to AC 220V? 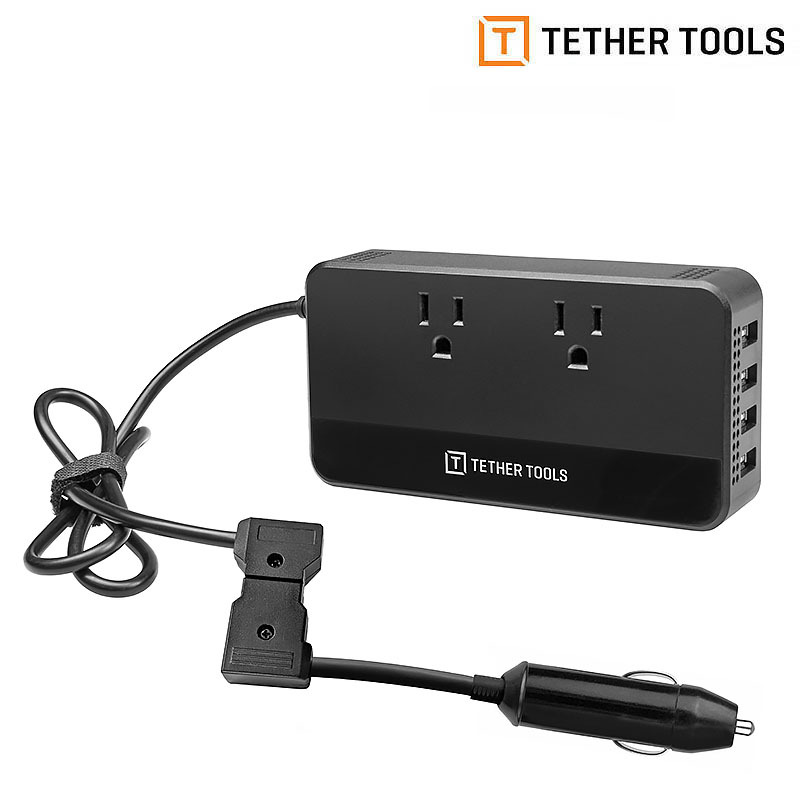 Tether Tools ONsite D-Tap to AC Power Supply. Two AC outputs and four USB ports powered from any battery with a D-Tap connector including V-Mount and Gold Mount Batteries. 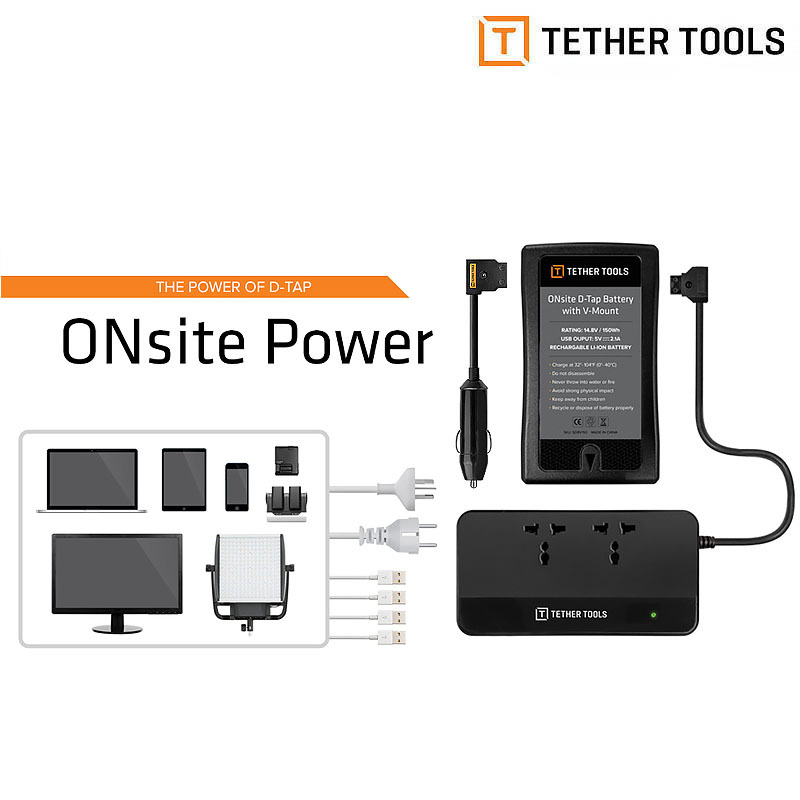 With no TSA travel restrictions, the ONsite D-Tap to AC Power Supply is designed for easy travel and is an accessible and versatile power source anywhere in the world. Portable, reliable, and interchangeable power solution keeps your gear powered and ready in any shooting environment. Seamlessly integrate with Aero Systems and standard grip gear. 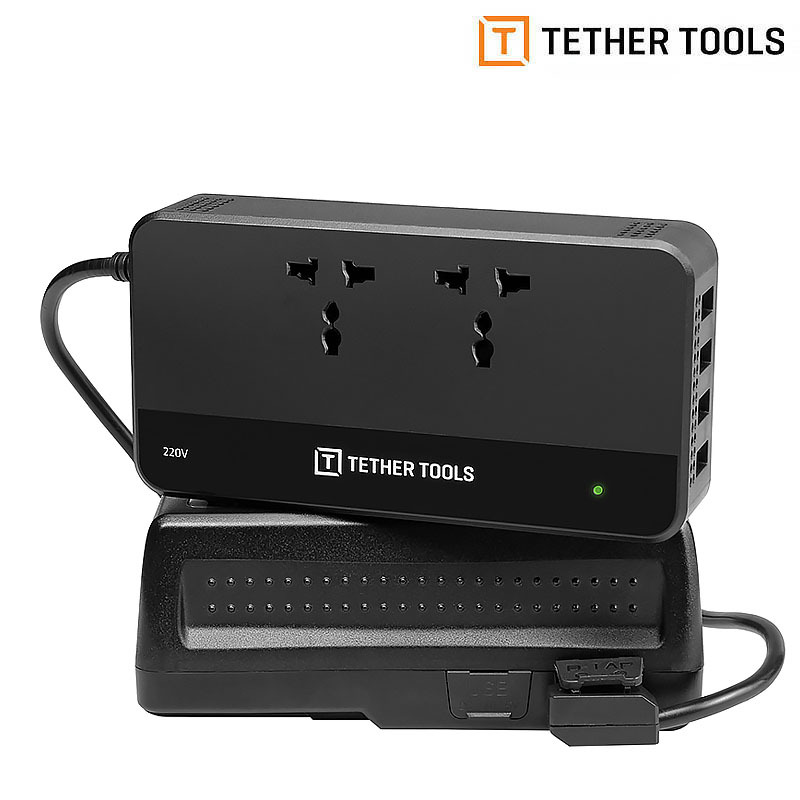 Recommended for laptops, camera battery chargers, tablets, phones, small LED lights.